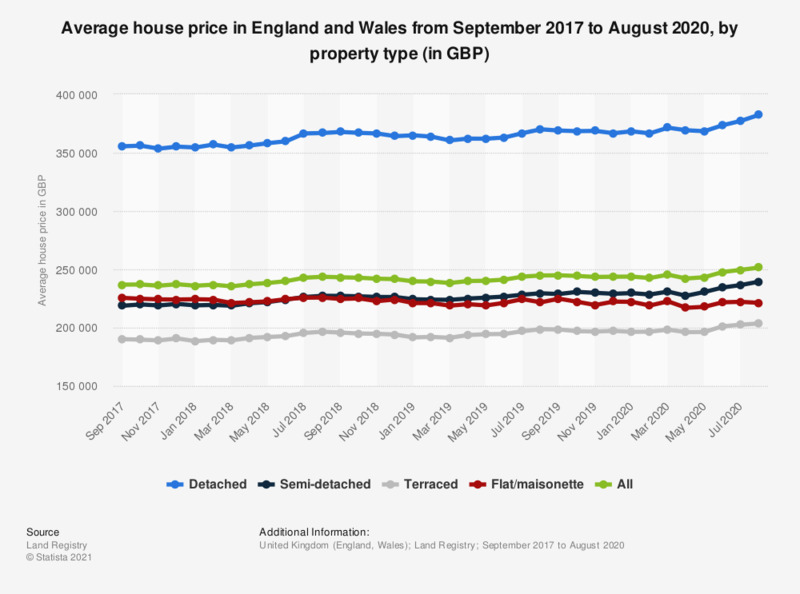 This statistic displays the average house price in England and Wales from August 2015 to August 2017, by type of property. It can be seen that the average house price for all property types in England and Wales reached a value of almost 238 thousand British pounds as of September 2017. Statistics on "Conception rates in the United Kingdom "